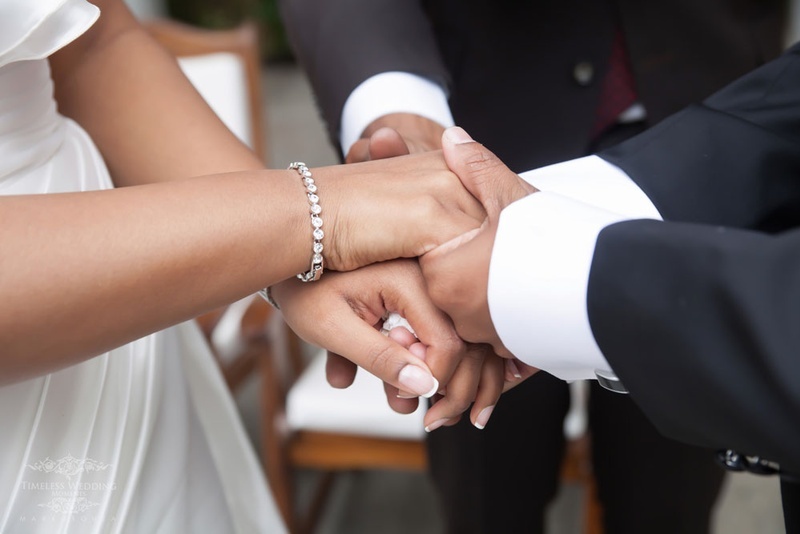 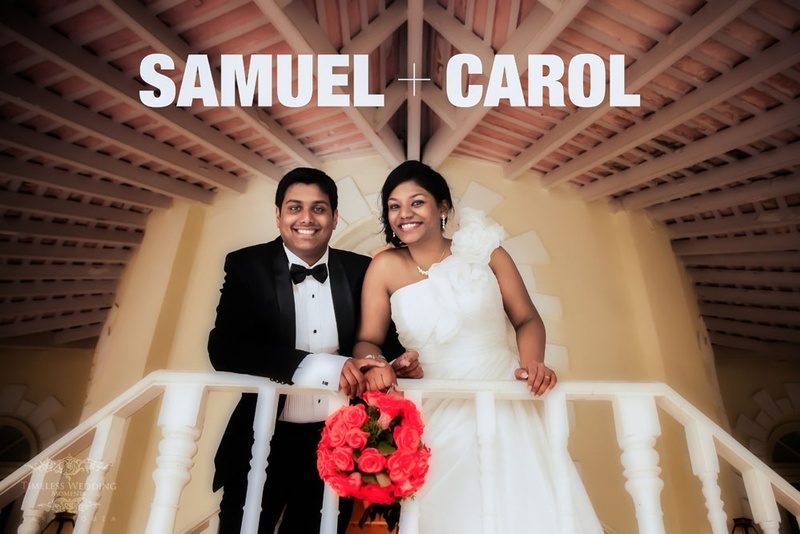 Christian Weddings come with their own kind of charm, elegance and grace – Carol and Samuel’s wedding was one just like that. 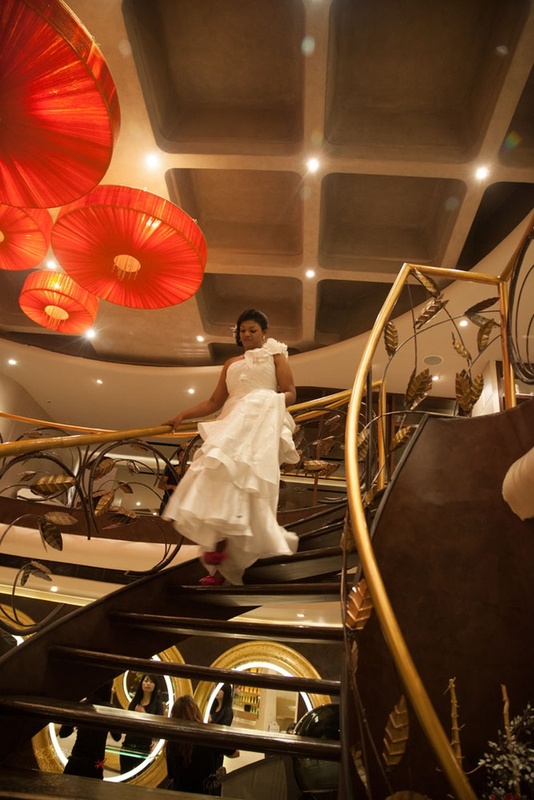 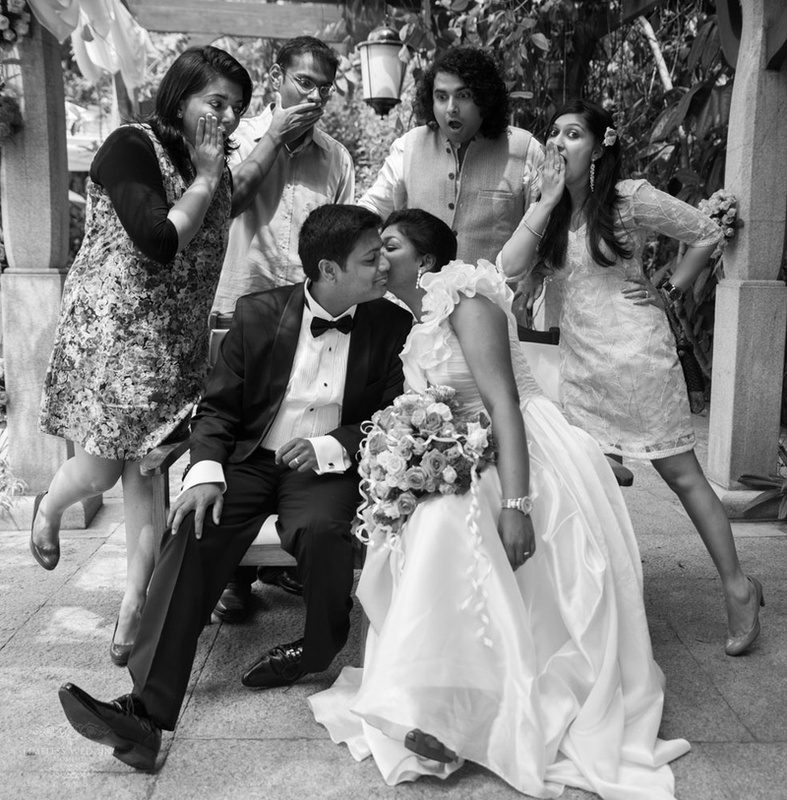 Held at Taj Westend, Banglaore their wedding was an intimate affair with only family and close friends attending. 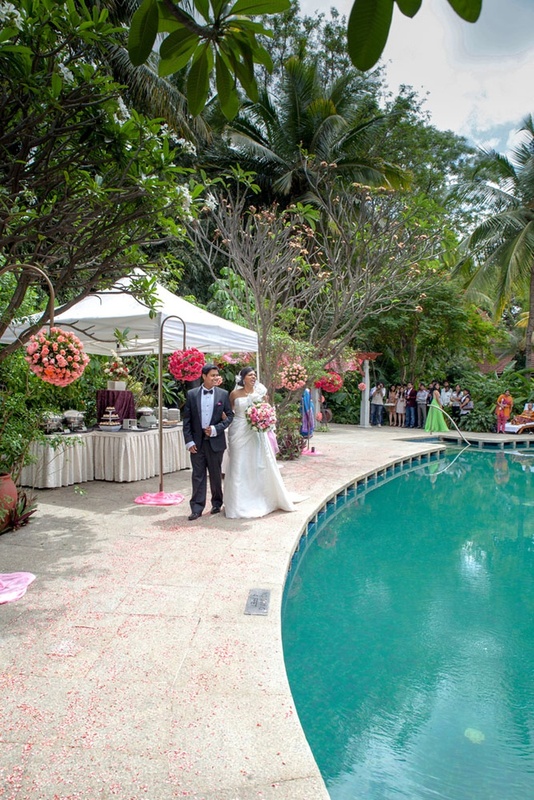 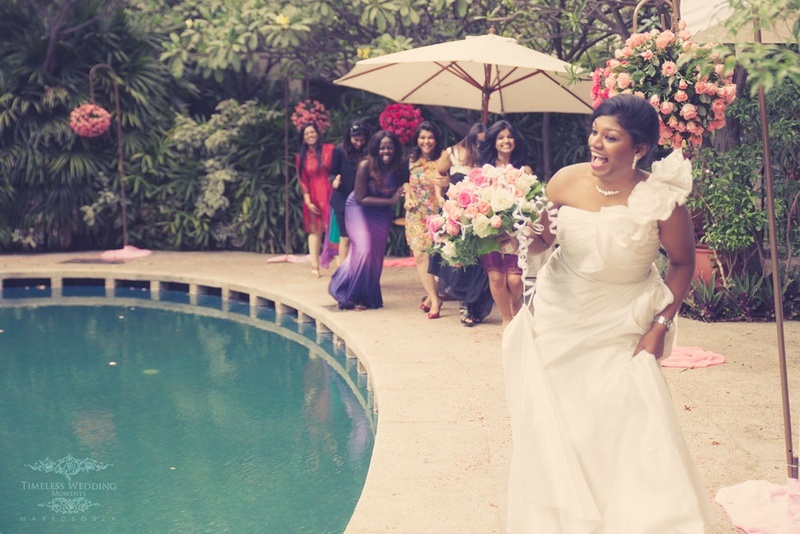 They picked an unusual space at the pool side which was decorated beautifully in hues of pink. 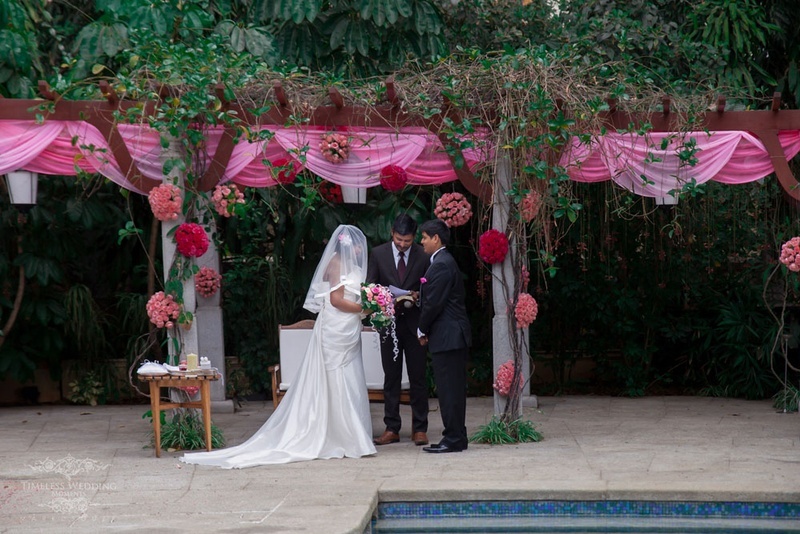 Scalloped drapes of blush and bubblegum pink ran around the circumference of the outdoor open air space. 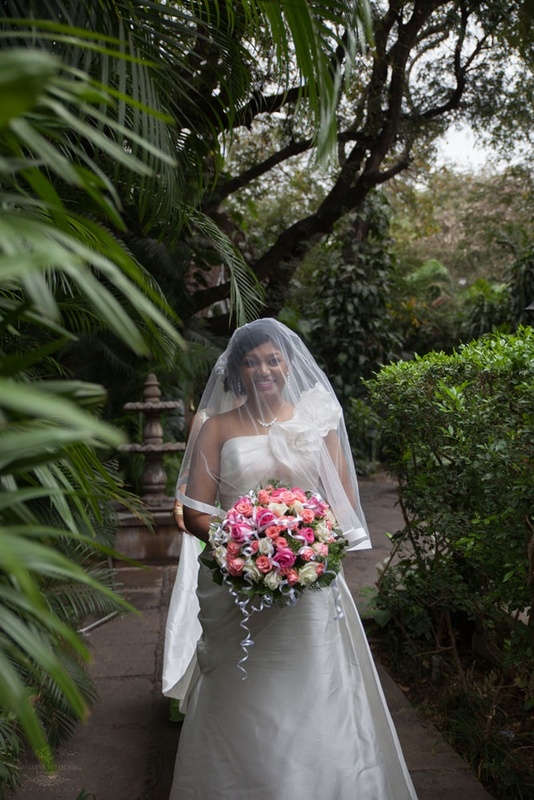 Topiaries of roses in complementing shades of pink were hung beautifully with these scalloped drapes – it was those close-knit kind of weddings with full focus on the love. 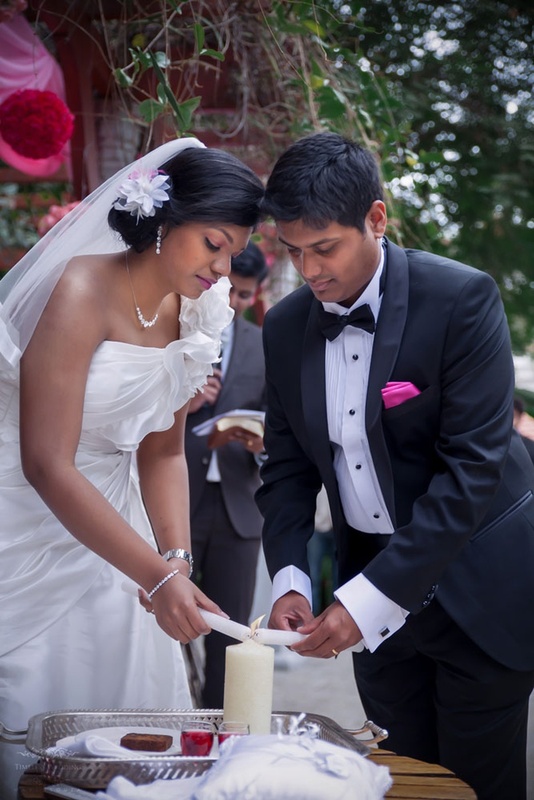 Once Carol and Samuel sealed the deal with a kiss, they also took part in the lighting of the unity candles to signify their new union in marriage. 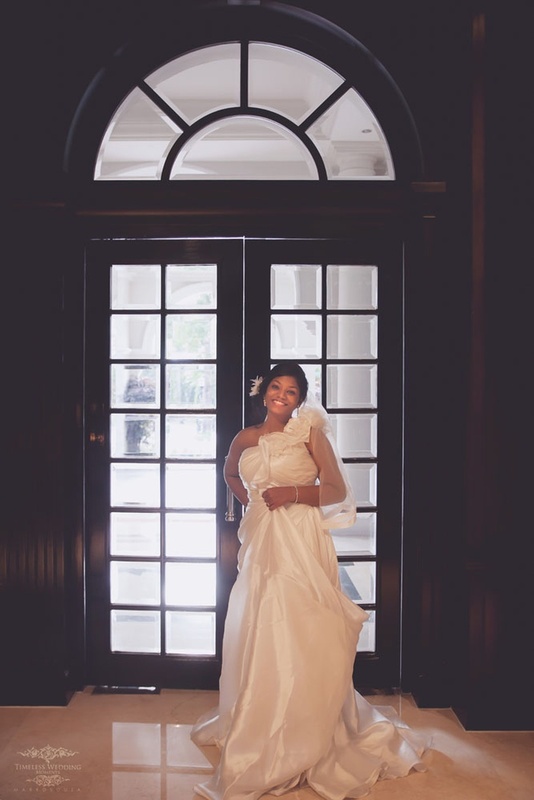 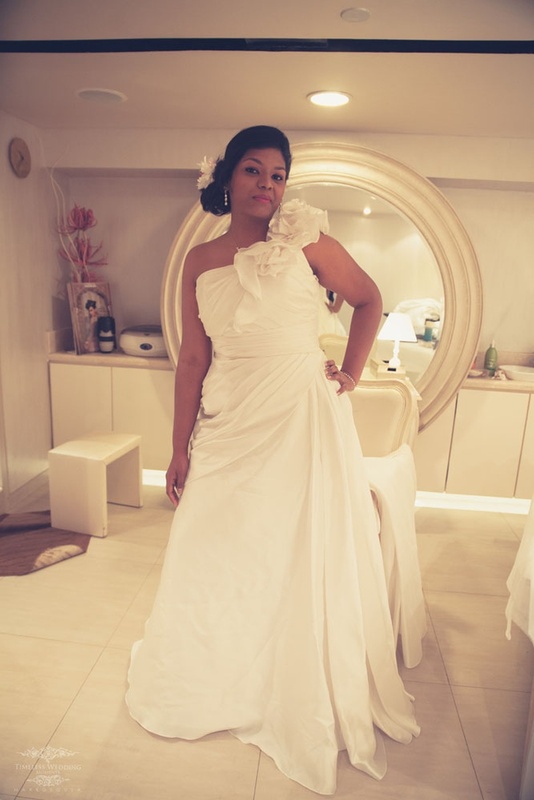 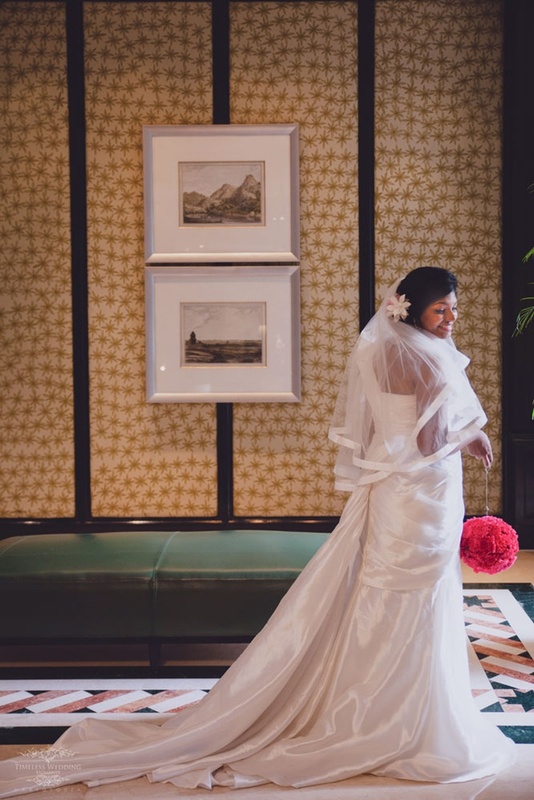 Her one shoulder white silk wedding gown was contemporary yet classic and made a fashion statement that has us throwing multiple emojis at this bride. 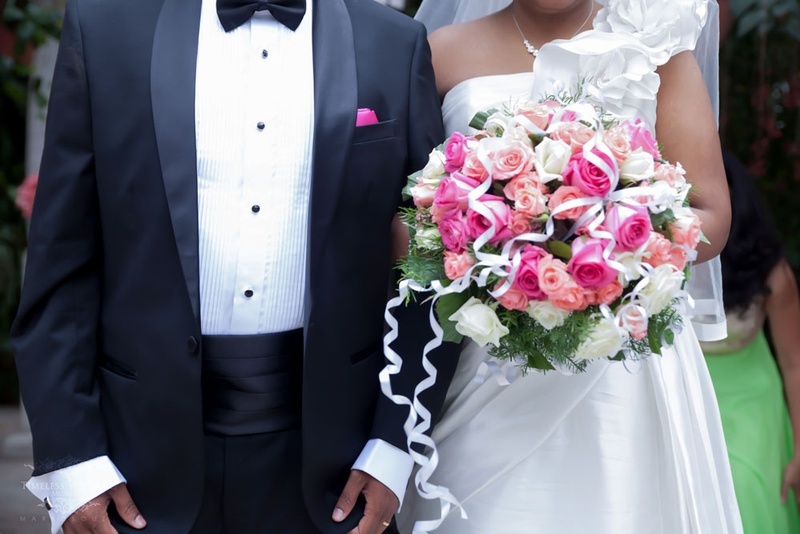 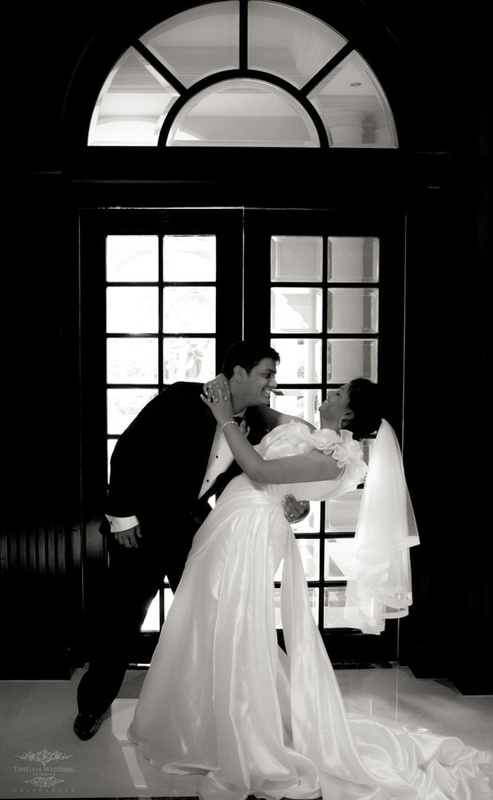 Her stunner groom, Samuel went all out classic with a black and white tux, complementing his gorgeous bride beautifully. 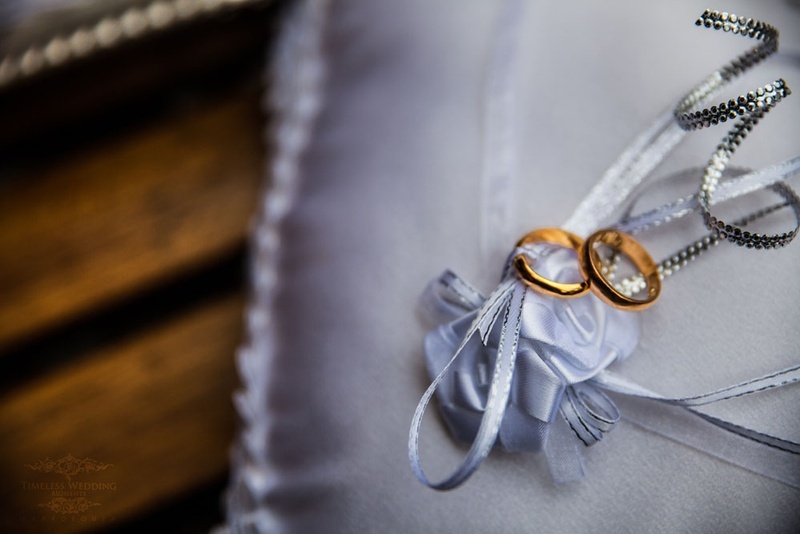 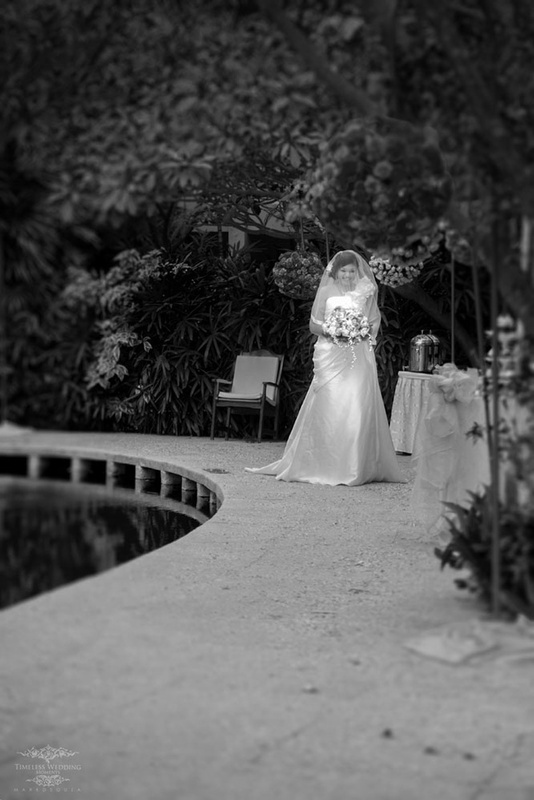 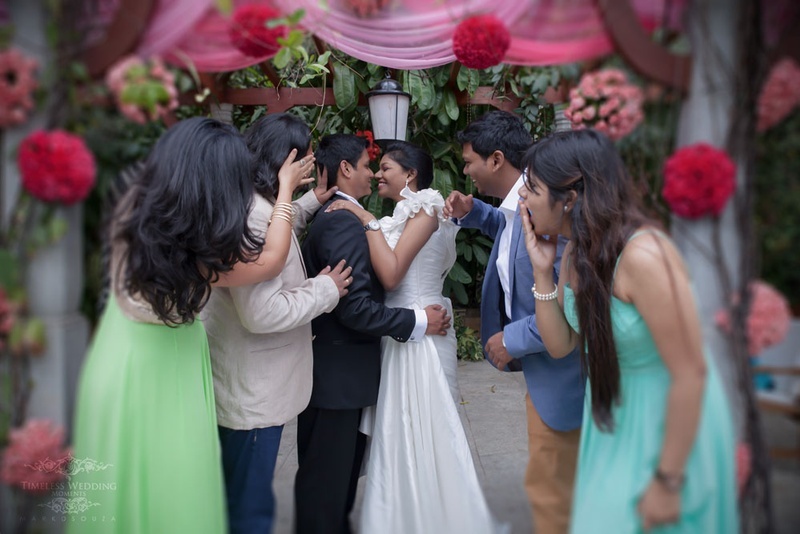 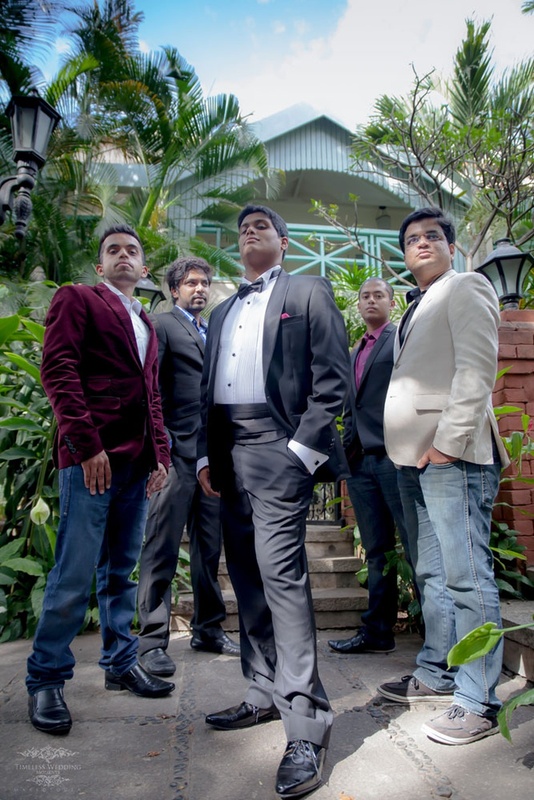 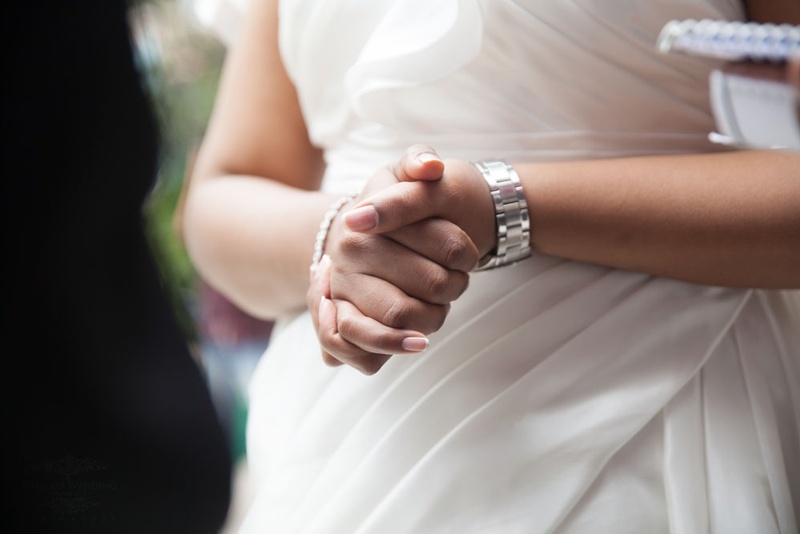 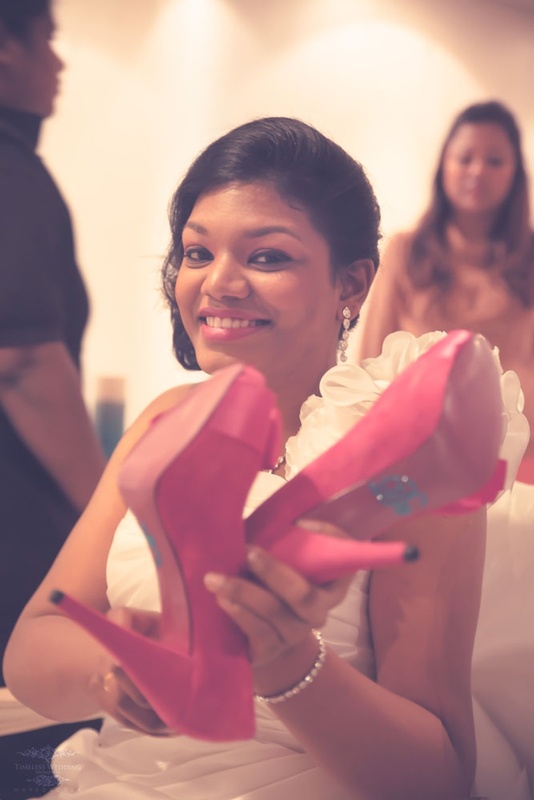 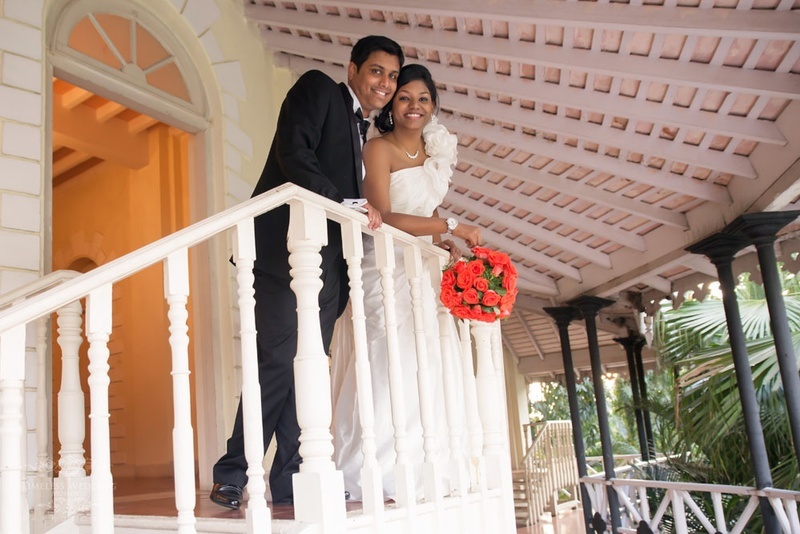 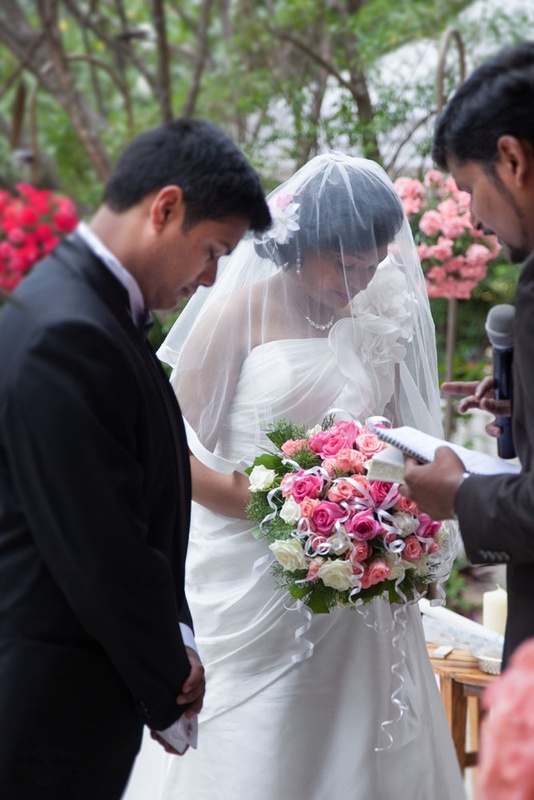 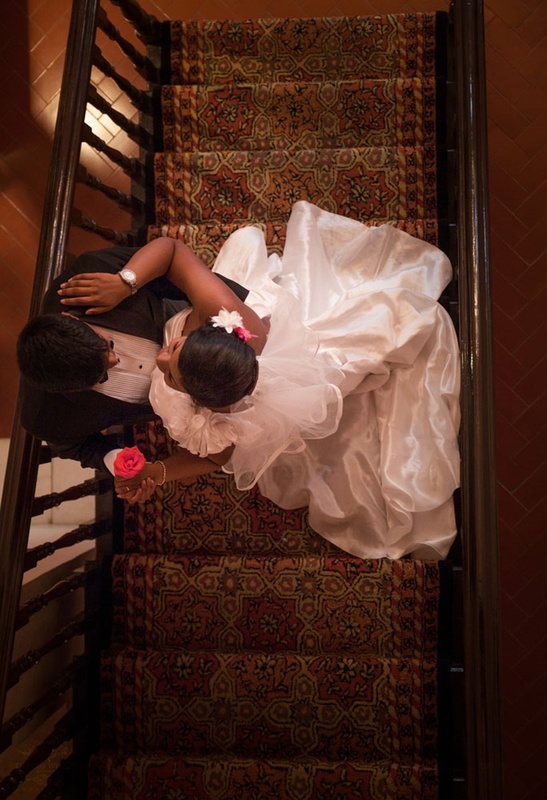 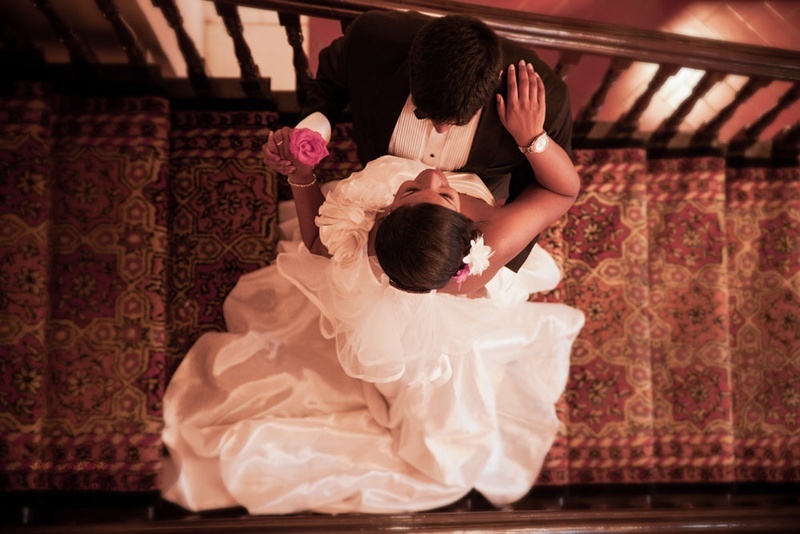 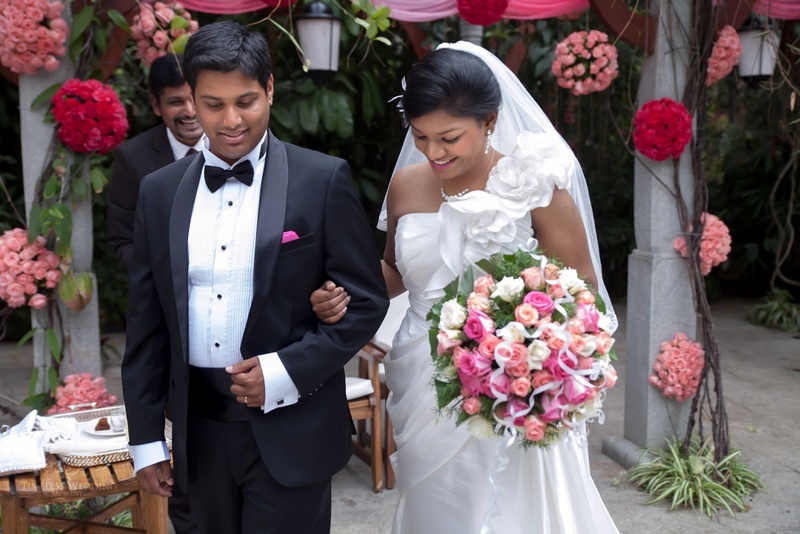 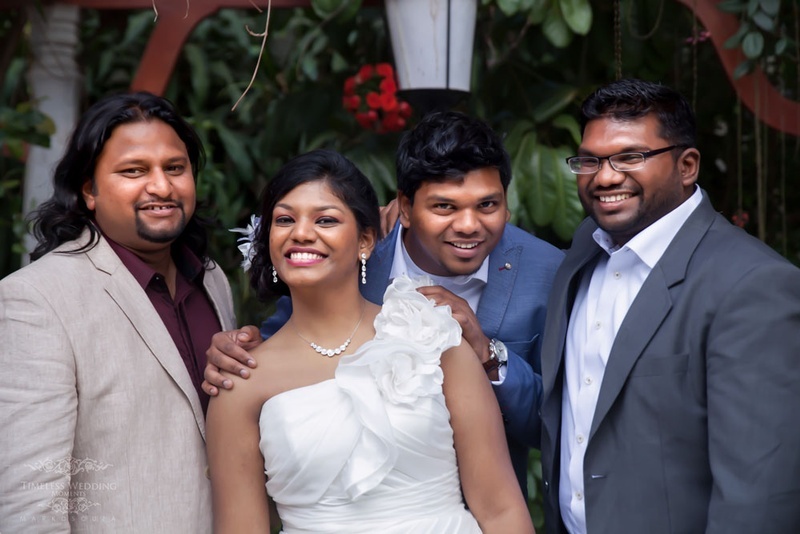 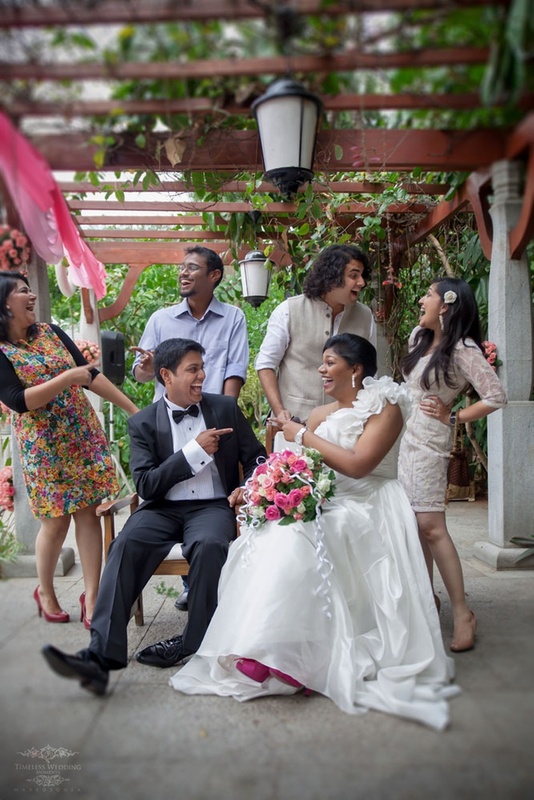 The team at Timeless Wedding Moments captured this small Bangalore wedding beautifully. 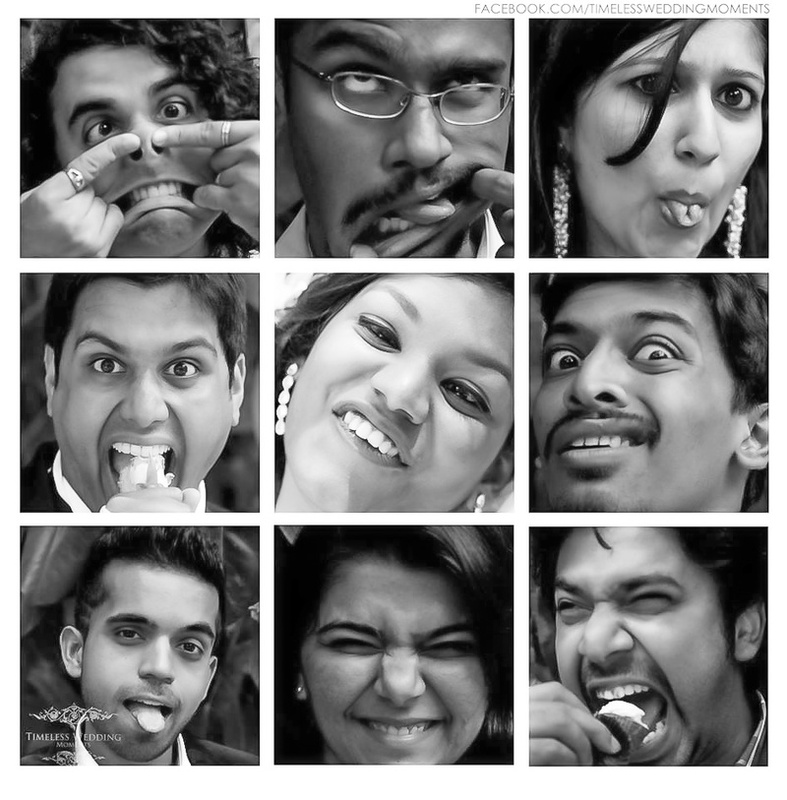 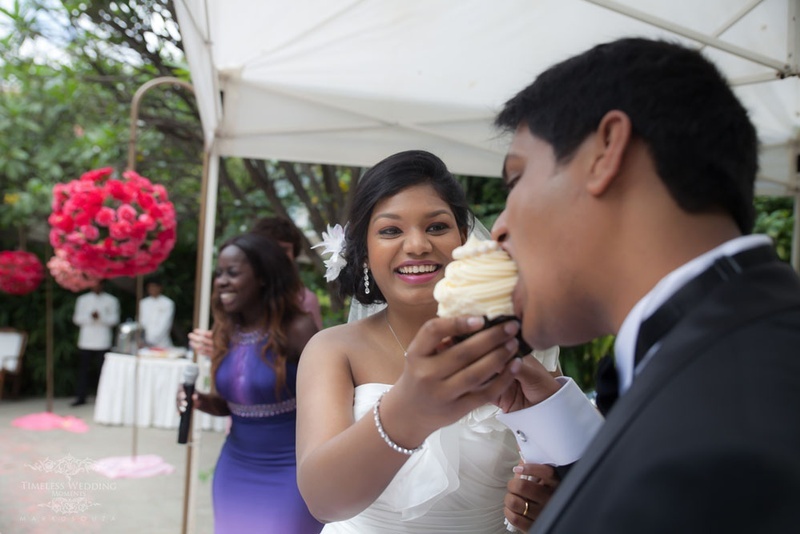 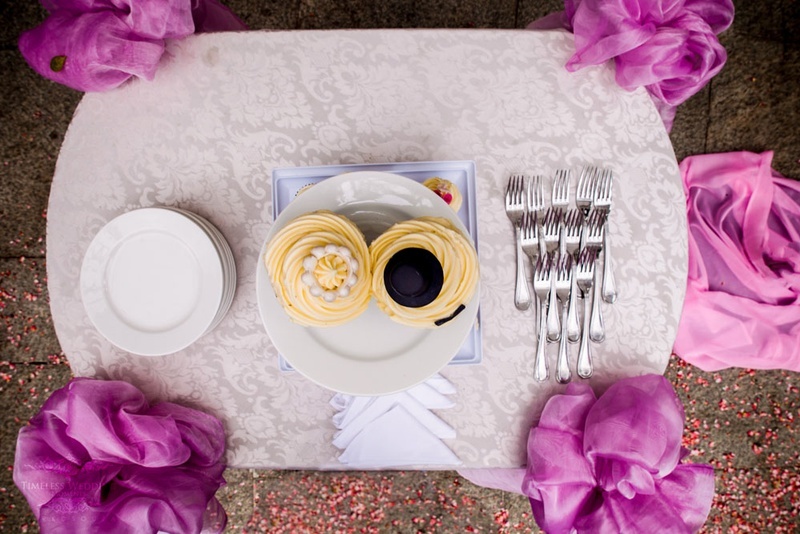 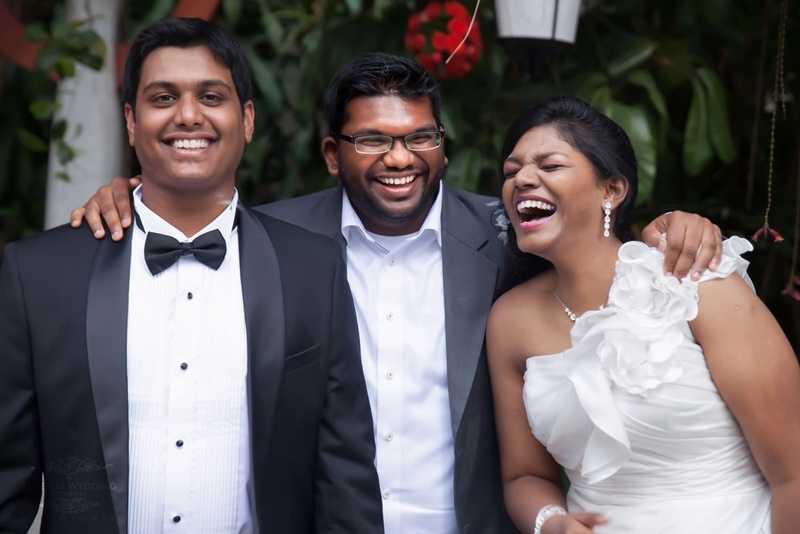 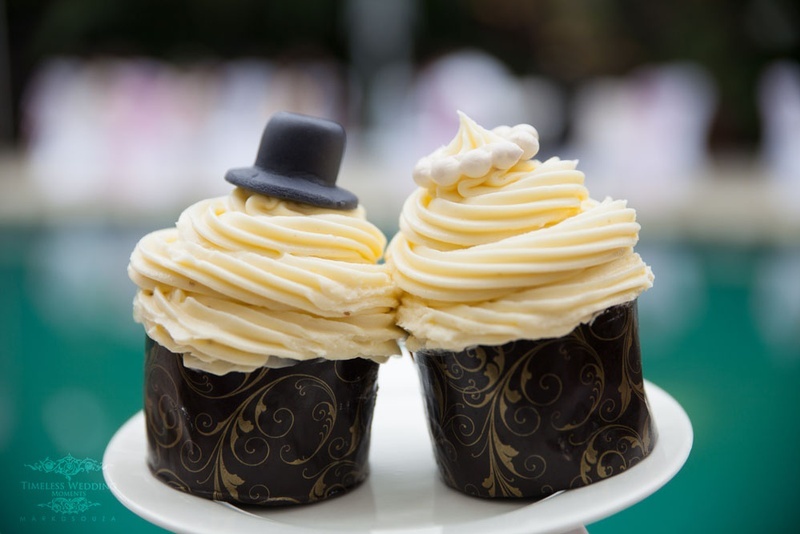 Capturing the sweetest candid moments, the cute bride and groom cupcakes and the couple’s crazy friends too! 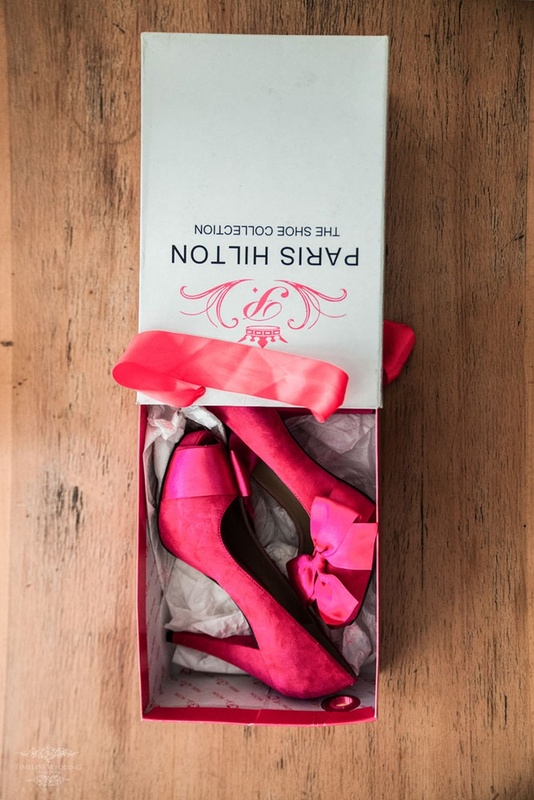 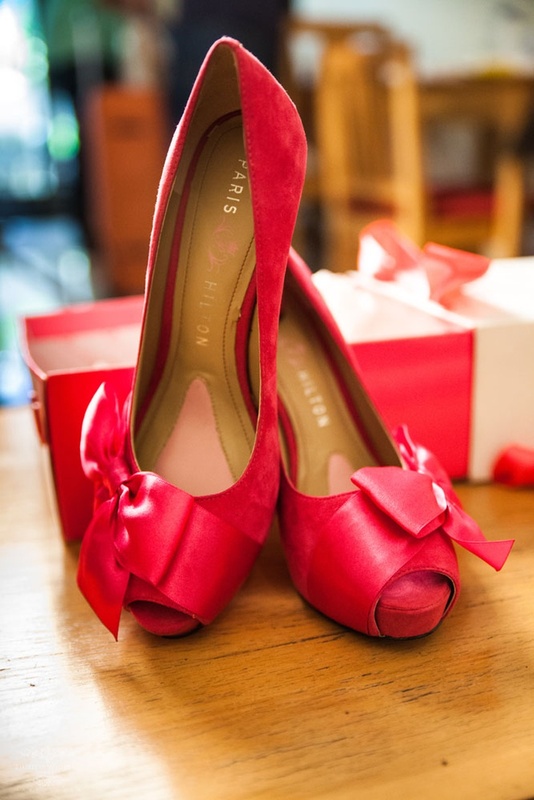 What to look out for as you scroll through this weddings gorgeous pictures – the brides hot pink Paris Hilton peep toe stilettoes, the crazyface collage of Sam and Carols friends and her stunning, stunning pink, peach and white bridal bouquet.